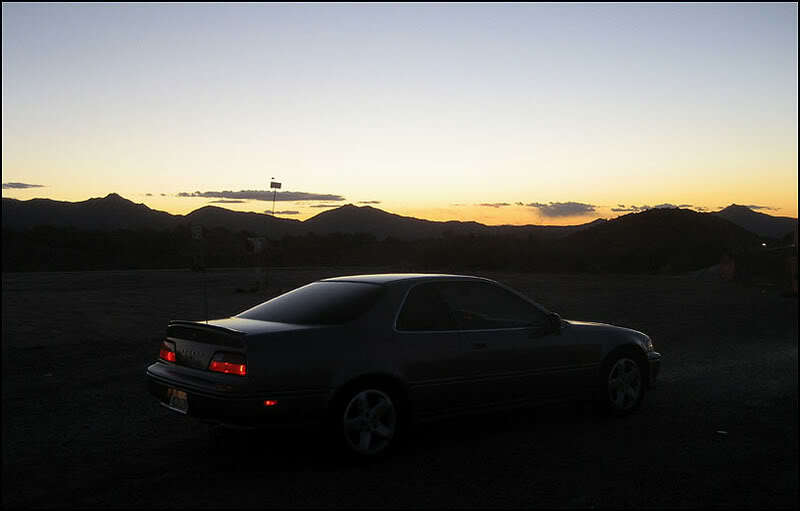 As crazy as it may sounds, driving an Acura isn’t my day job. You’d think so, given the fact that I’ve put about 45,000 miles per year on my Legend since I bought it in 2003. Some curious friends did the math once, in fact, and determined that I’ve spent the better part of a year *living* in my driver’s seat 24 hours a day, 7 days a week. And that’s if I was consistently driving moderate highway speed the entire time! Since I do get asked quite a bit: My career is in the pharmaceutical biz. 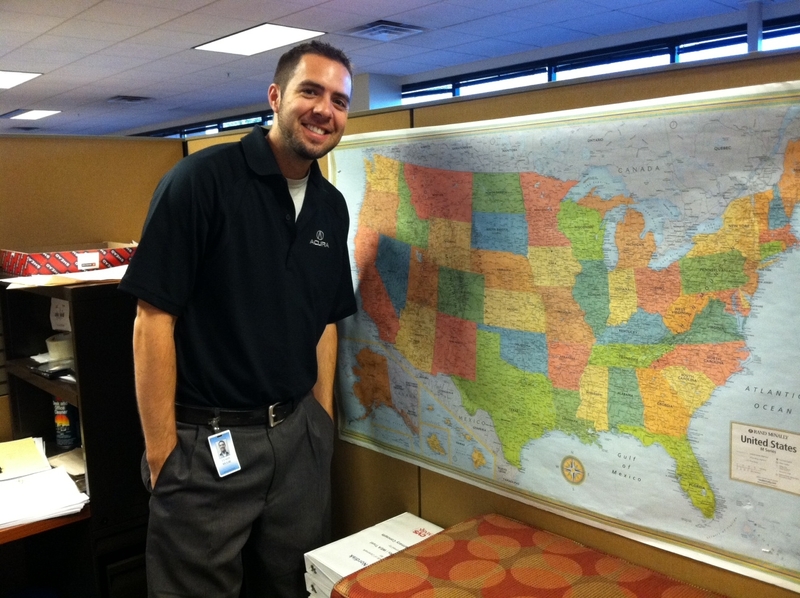 I work as an analyst for a pharmacy benefit management company called CVS Caremark based in Scottsdale, Arizona. The most important tool at my disposal in my cubicle at the office is a U.S. map because I zone out frequently while daydreaming of road trip opportunities. My colleague Michelle snagged this picture today. I happened to be proudly wearing an Acura Polo shirt, too. Over the next couple of weeks, I want to share some of the many adventures I’ve had in my Legend in its half million miles of travel. GHOST TOWN. 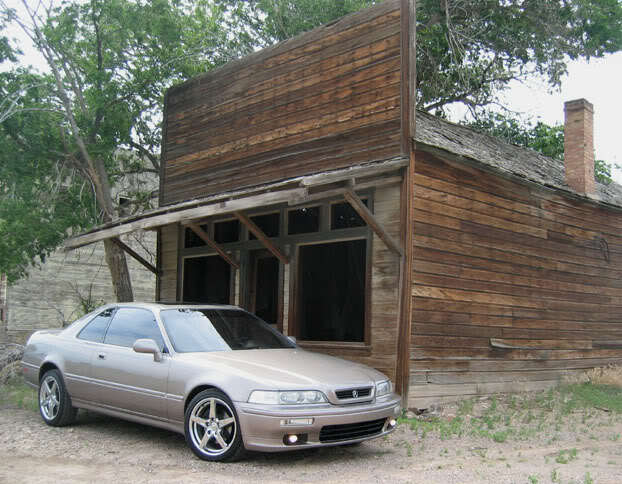 Owner financing. Motivated seller. 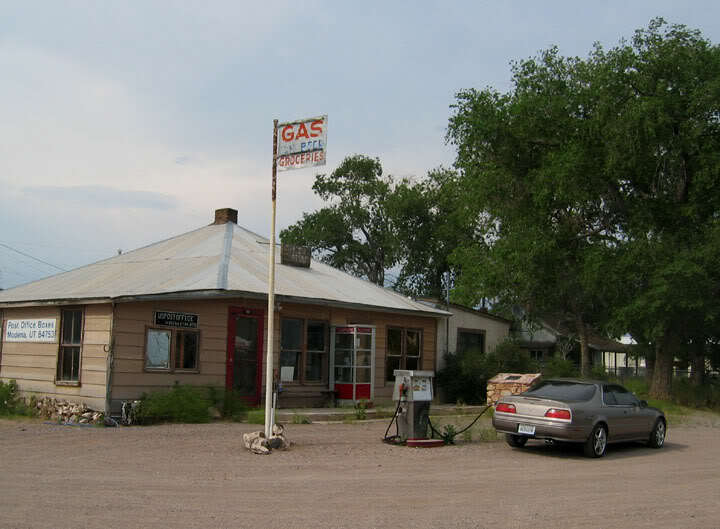 Four homes, C-store, gas station, miscellaneous buildings. 32 city building lots, 2.5 acres highway commercial, five acres well and water, fixer-upper. 80 acres. All for $299,000. Modena, Utah. Call (719) 684-9044. My curiosity got the best of me and I set out on an adventure to find out just what exactly this ghost town was all about. It’s a tiny little town on the railroad tracks about 9 miles from the Nevada state line in southern Utah. Modena was a center for commerce when the steam railroads would roll through town. When the diesel locomotive came around, the trains wouldn’t need to stop and Modena became obsolete. Slowly people moved out. Here are some of the pictures I captured that day back in 2005. 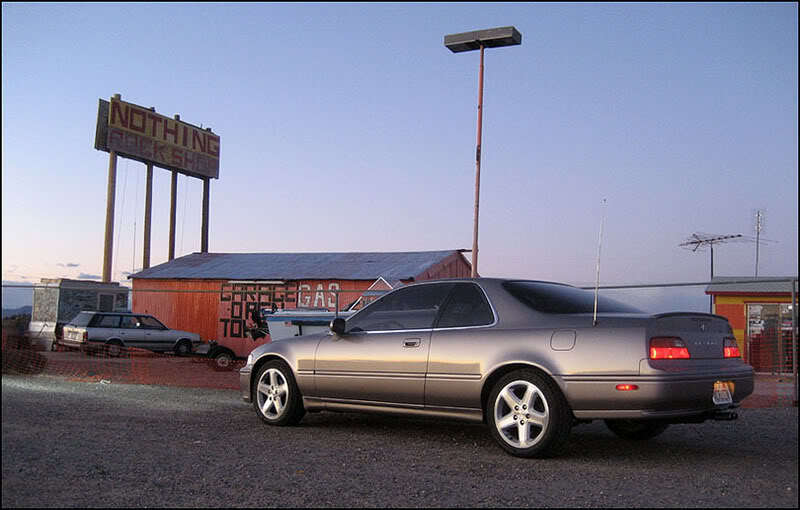 The Legend had around 175,000 miles on it and was wearing 17″ Acura RSX Type-S wheels at the time. The eery feeling of being in a desolate town was thrilling. A boarded up gas station, old pickups for sale, not a soul around. A couple of the run-down homes were visibly still occupied but most had “For Sale” signs in the windows. Despite the “No Trespassing” warnings, I climbed into the largest of the abandoned buildings — the Lund Hotel. Inside was quite creepy (especially considering that I was alone). I went upstairs and there were still box spring sets for the hotel mattresses. Shelves were still there in what used to be the general store on the main level. Surprisingly, there was very little or no graffiti and all the fixtures were still intact. I went up the staircase to the upper level – a bit unnerving since the hand railing was wobbly and I could see that the upper level floor had sunk in places and could potentially collapse at any time. My cell phone wasn’t getting service at the time so I was also completely unreachable if something had happened. All part of the experience! This gas pump had long since dried up, but it still made for a nice photo-op. Bummer – looked like the saloon had sealed its doors too. 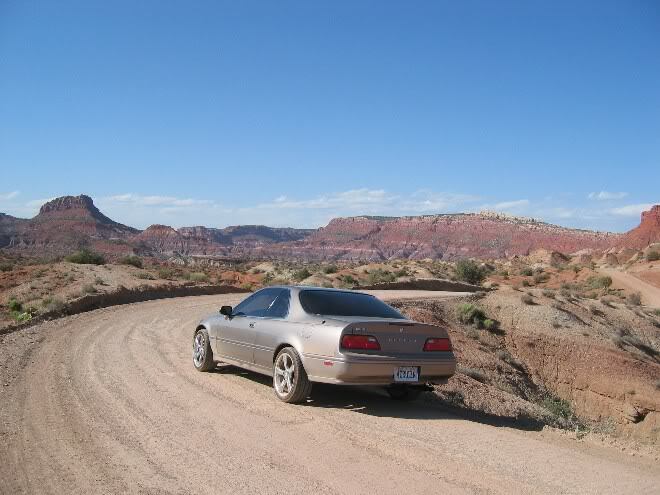 On another occasion, in May 2005, I ventured to a different small southern Utah ghost town called Paria, off Highway 89A near Kanab. This particular site was known for having been the backdrop for a number of “old west” movies from the 1940’s through 1960’s. The area was first settled around 1865. I had to do a little off-roading to get to my destination – probably 10 or so miles each way on a pretty decent condition dirt road. 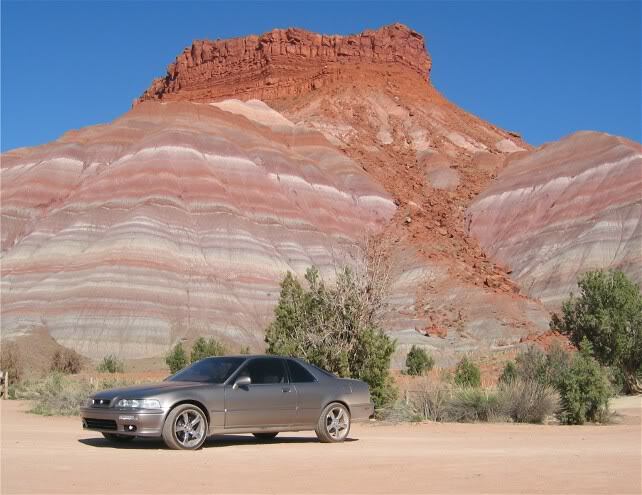 There is just no landscape that can compare to the beauty of the southern Utah sandstone. Lastly, I’ll share a picture of one more (now completely demolished) ghost town – appropriately named, “Nothing,” Arizona. 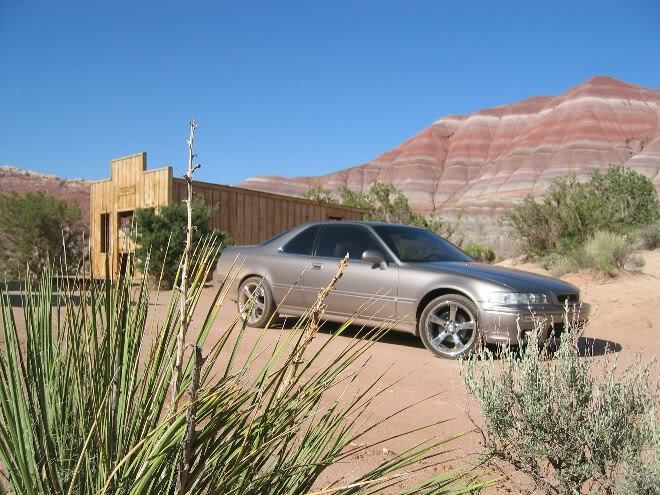 In February, 2007, I stopped for these pictures in northern Arizona off Hwy 93 between Wickenburg and Wikieup. Population: 4. Milepost 148 1/2. The building in this picture has since been bulldozed. 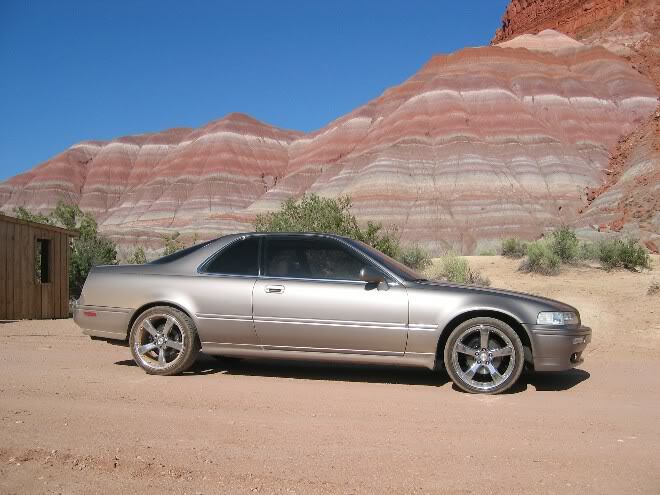 The Legend was at 275,000 miles and sitting on TL Type-S wheels. Looking pretty snazzy in the Arizona sunset. 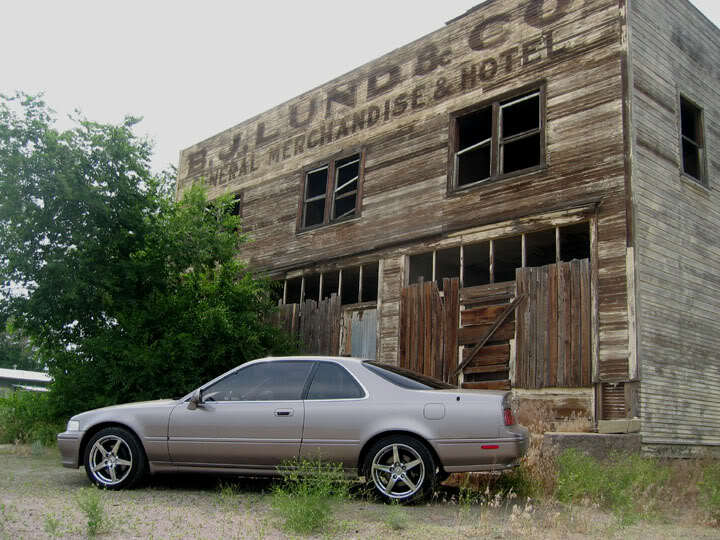 Those are some of my Acura-assisted travels to the run-down buildings of yesteryear. 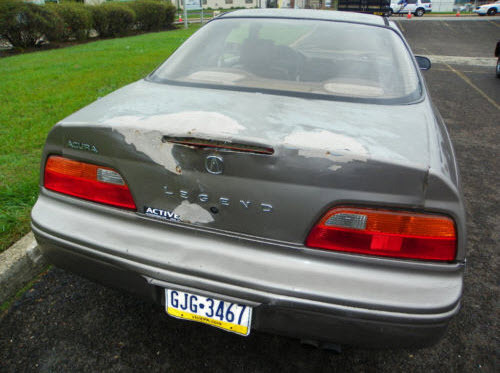 Sadly, as I’ve learned, time can take its toll on an automobile too. 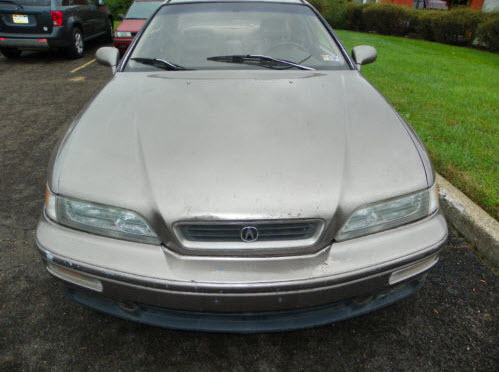 Did anyone else notice the “mechanic special” 1994 Acura Legend coupe on Ebay right now? 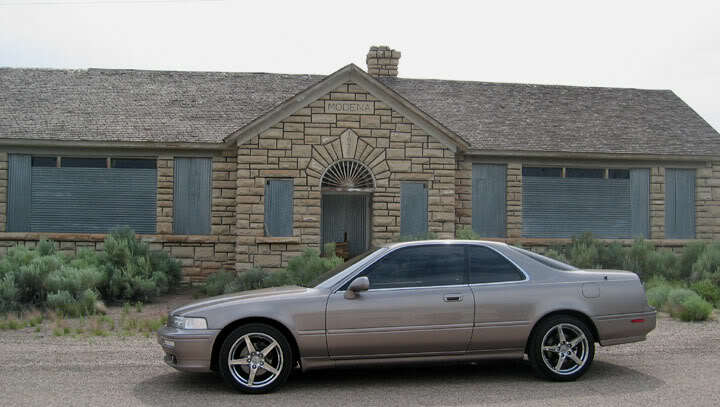 It’s a near twin to mine in Desert Mist Metallic paint except in L model trim and with an automatic transmission. This particular Legend, with VIN ending in production number 239, rolled off the assembly line in Japan just 593 vehicles before mine did, back in the end of 1993. 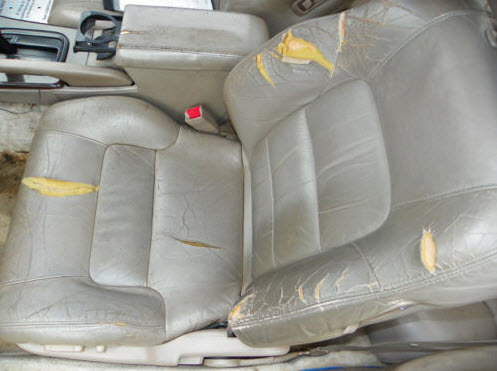 Now 18 years later, it has only 134,000 miles (26% of what mine has) but it looks like it’s been driven through a war zone. Those were rough miles. What a life this car has endured. 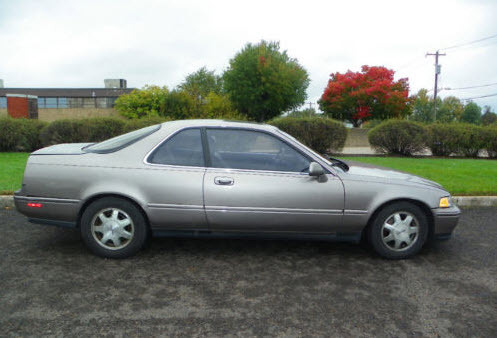 It’s classic reinforcement of my belief that high miles don’t necessarily mean much in the used car realm. 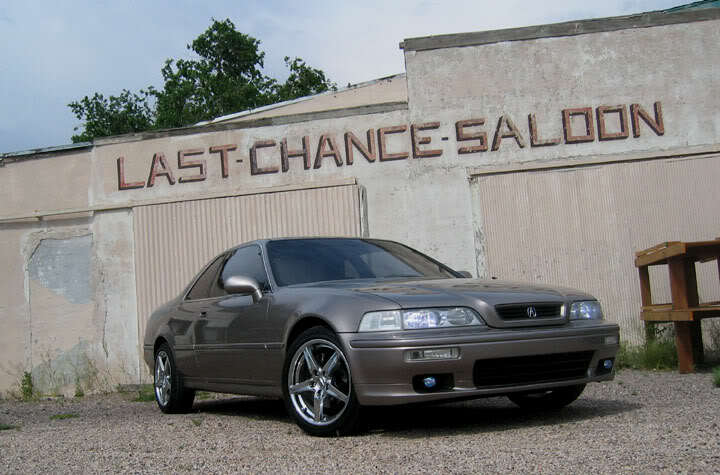 I’d rather have my 500,000 mile Legend any day of the week than this relic with 134,000. People — take care of your cars and they’ll take care of you! I’m off to Tampa, Florida tomorrow for the weekend (flying, though!). The high-miler will sit in covered parking at Sky Harbor airport so don’t expect any huge trip report on Sunday. 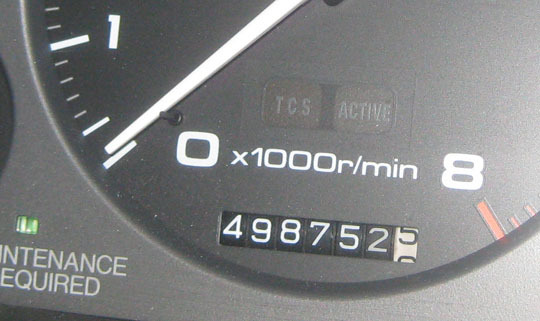 I will, however, continue to post more frequent stories from my past Acura travels as I creep closer to the big milestone ahead. Thanks for watching! Drive on. This entry was posted on October 21, 2011 at 3:25 am and is filed under Ghost Town, Legend, Road Trip. You can follow any responses to this entry through the RSS 2.0 feed. You can leave a response, or trackback from your own site. You know, I don’t think I have ever seen more pictures of a Legend in my entire life. I think you are in the lead for a Guinness World record. 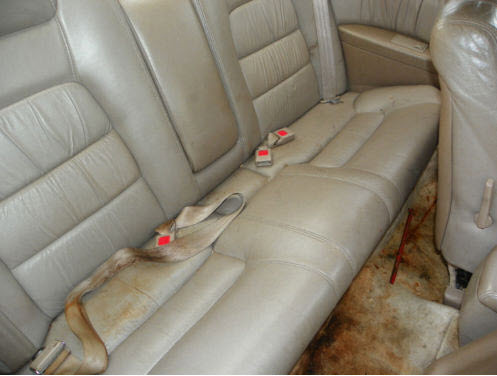 That carpet is just GROSS. Tyson, try staying overnight in Modena ! I stayed there one night in a trailer while on a hunting excursion. One eye stayed open most of the night……. 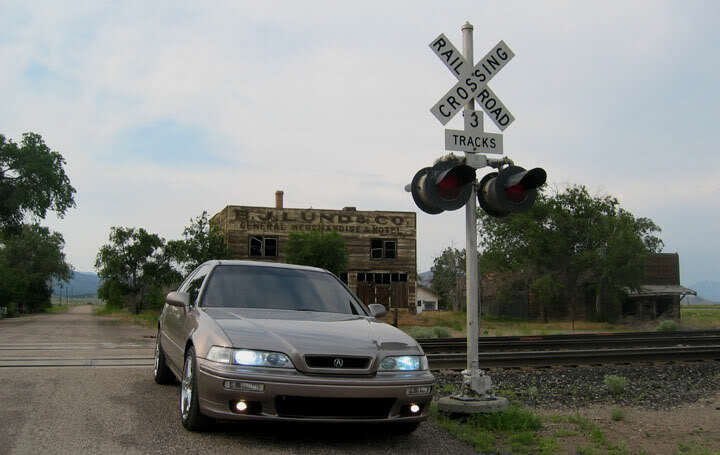 I’ll be tracking the Acura Legend and the Legend Tyson !!!! Gregg, that’s awesome! Like Metallica’s song “Enter Sandman,” you slept with one eye open, gripping your pillow tight! Modena was a fun afternoon trip. It felt so remote, yet it wasn’t that far from St. George. Glad you are watching the blog! Enjoy your weekend in Florida!